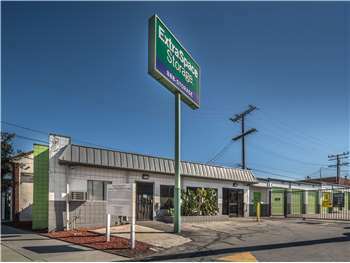 Located on San Fernando Rd between W Broadway St and W Colorado St, Extra Space Storage serves residents of Glendale. Locals will recognize our facility near The Home Depot a few minutes east of the Los Angeles Zoo and a few minutes west of Glendale Galleria. With a large selection of storage units, drive-up access, and exceptional security, Extra Space Storage on San Fernando Rd is the secure storage solution for you in Glendale! No matter what you need to store, we have the space for you! Choose from unit sizes as small as 5x5 up to as large as 20x20 with convenient features like drive-up access, indoor access, and more. At Extra Space Storage, we want our customers to rest easy when storing valuable belongings with us. That's why we utilize security features like 24-hour video surveillance and electronic gate access at our Glendale storage facility. Experience the most convenient storage option with drive-up access! Simply pull a vehicle up to your unit for easy loading and unloading. 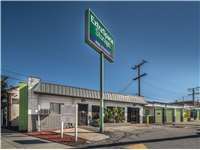 Our San Fernando Rd location offers drive-up units in sizes 5x5 to 20x20. When you rent with Extra Space Storage, you can expect high-quality self storage with top-notch amenities and excellent customer service. Our friendly, professional staff is dedicated to ensuring you have a positive experience with us. Contact us today to reserve a storage unit in Glendale! Best service and price !!! Very helpful & understanding. Glad I came to this location. We had the greatest experience with your agent, Ms. Casas. Helpful and full of good information and patience. The space we rented suited our needs to a "T". No complaints. the staff is very friendly and the location is very convenient. I couldn't be happier with my experience. I recommend this place to everyone I know that needs storage. The management is super friendly too! This is customer service at it's finest! Diane, our on-site Manager went above and beyond all expectations. She is very professional and she has a work ethic like no other that I have encountered. From the beginning, everything has been handled promptly and Diane gets the job done. Glendale (San Fernando Rd.) is an excellent facility and I am extremely pleased with the service that I have received. Simply put, I could not be happier with the service I received from ExtraSpace Storage. I really appreciate the Customer Service and the attention I receive when speaking to management. The facility is very convenient and once you get past the idea the facility's parking for the Office is on San Fernando, everything is fine. I have never felt unsafe on the street or in the facility. Always clean, too. :-) Thanks EXTRASPACE. I am very satisfied with the security at this facility. I especially feel that Diane (on-site Manager) is doing a wonderful job in making sure that the security for the Glendale facility is the number one priority. When I found out about Diane's passion for making sure that the Glendale facility is well secured, I decided to place my most valued possessions there. Thanks Diane for the wonderful job you are doing! Take I-5 South to 134 East. From 134- exit on San Fernando Road and go south. Continue past Golden Road Brewery and Extra Space Storage is located just after passing Frank’s Burgers on Broadway on your left-hand side, right before Moonlight Rollerway. Our address is 5120 San Fernando Road. Take I-5 or the 101 until you reach 134 East. Going east on 134- exit at San Fernando Road and go south. Pass Golden Road Brewery and Extra Space Storage is located just after passing Frank’s Burgers on Broadway on your left-hand side, right before Moonlight Rollerway. Our address is 5120 San Fernando Road. Take 134 West and exit at San Fernando Road. Follow the above directions from there. OR Take 10 West to 5 North- to 134 East. Going east on 134- exit at San Fernando Road and go south. Pass Golden Road Brewery and Extra Space Storage is located just after passing Frank’s Burgers on Broadway on your left-hand side, right before Moonlight Rollerway. Our address is 5120 San Fernando Rd. Take the 101 to 134 East. Going east on 134- exit at San Fernando Road and go south. Pass Golden Road Brewery and Extra Space Storage is located just after Broadway- on your left hand side. Our address is 5120 San Fernando Road.